As you go down the stairs to the basement, there is an open terrace decorated with big plants. 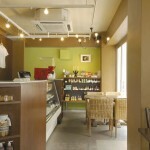 Inside the cafe is also spacious and airy. 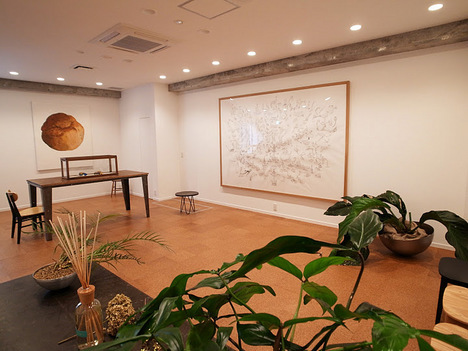 The exhibited works at the gallery are Koki Tanaka and Teppei Kaneuji from the left (photo). The pots for the plants were made by Kitajima Shibori Seisakusho, which is famous for making parts for the tips of space rockets. The exhibitions are rotated in every 2-3 months and it is worth seeing as a gallery. 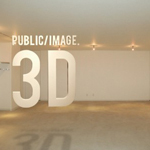 The owner wanted to make this space something like a house turning into the gallery. You can find a room like a study, bright dining room and artworks in every room from the kitchen to the bathroom. It is strange that somehow I can feel familiarity from the contemporary art which are displayed as a part of our ordinary life. 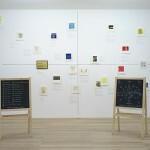 It must be one of the reasons that the exhibited artworks are not only completed beauty but also sweet and humorous. It is also fun to see the interior and daily necessities at the cafe. The unique plants, which might come from a desert or frontier, are selected by a plat hunter, Seijun Nishihata. Cute chairs, which look like school chairs from foreign elementary schools, are custom made by a wooden furniture studio, monokraft. Everything arrived at “SUNDAY” with their own stories. If you are interested in something, please ask the staff for the origin. Even if you come here with a friend who are not interested in art, he/she will not complain because of the substantial menu. It has everything from light meal to genuine dinner and dessert. It will be fun to try their limited menu which will be serving during the art fairs in overseas. I sometimes go to see art in a hurry by traveling around art fairs during my busy schedule or rushing into a museum right before the closing date for an exhibition. But looking at art while I am relaxing at this cafe, this time itself seems precious to me. I might fall into the trap set by the cafe to have an illusion that this might be an everyday life for collectors. This cafe is suitable for both visiting alone and coming with company. The relaxed and slight luxurious atmosphere is also perfect for a party. It is a place to enjoy art at ease. Please call for the detail of the exhibition.